Saint George’s Day (Sant Jordi in Catalan) is celebrated in Catalonia on 23rd of April. Sant Jordi is the Catalan patron saint, and during this day the tradition says we have to gift culture and love, which are represented by a book and a rose. This way, gifting books set in Barcelona is a great option on those dates. Reading books set in Barcelona is also a wonderful way of discovering the Catalan capital: secret and beautiful corners, traditional shops, green parks… we can make a list with places to visit we have previously read about. 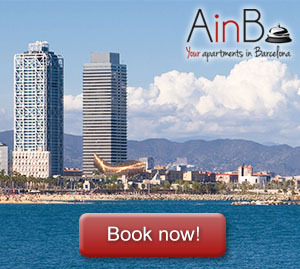 Walking around, enjoying gastronomy or playing sports in Barcelona are some of the possibilities this city offers. But in this post, we will talk about another different field. Here we present some novels whose scenario is the Condal City. So, lets take a break to read! Its full title is The Ingenious Nobleman Sir Quixote of La Mancha and it was written by one of the most famous Spanish writers of all times: Miguel de Cervantes Saavedra. Don Quixote is considered the most influential novel of literature from the Spanish Golden Age. In total, this novel is believed to have sold more than 10 million copies worldwide. Barcelona has an especial place in this novel, because Don Quixote and his squire (Sancho Panza) go to the city and they live several adventures there. They even have a duel! This novel was written by Mercè Rodoreda and published in 1962. It has been translated into more than thirty different languages and it is considered one of the most important pieces of fiction in contemporary Catalan literature. The Catalan title of this book is La Plaça del Diamant (Diamond Square), which is a charming square located in Gràcia district. You can easily visit this gorgeous spot from this Bed and Breakfast in Eixample area. The most known work of Idelfonso Falcones is a historical novel that takes place in 14th Century Barcelona at the height of Inquisition. The background of this wonderful history is the construction of one of the most famous buildings of Barcelona: Santa Maria del Mar church. This bestseller written by Carlos Zafón and published in 2001 is one of the most best-selling books of all time. In fact, it is believed have sold 15 million copies worldwide. The Shadow of the Wind is the most famous book of Carlos Ruiz Zafón, but it is not the only one that takes place in the Catalan capital. The Angel’s Game and The Labyrinth of Spirits are also Zafón’s books set in Barcelona. This mystery thriller written by the well-known American author Dan Brown uses the city of Barcelona as the main stage of professor Robert Langdon’s adventures. In this novel, the main characters move all around the city of Barcelona trying to solve an enigma related to the classical conflict between religion and science. Sagrada Familia, Casa Milà or Pedralbes area are some of the spots described in this modern book published on October 2017.